Return to home page . 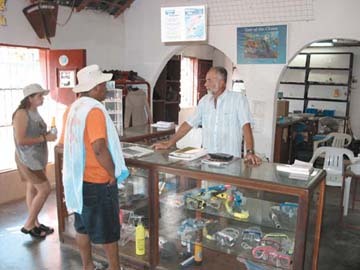 Mike Osborne, one of the most experienced divers in Venezuela and owner of Submatur, has a well equipped dive shop and two boats to take divers to the reefs. He also has rental gear and can fill tanks. 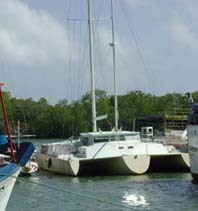 Mike has an ocean going trimaran which he plans to use for trips to Bonaire and/or Las Aves, unhabited islands between Bonaire and Los Roques. Contact Mike for more information. Relaxing on the beach at Cayo Sur . Preparing for scuba diving . 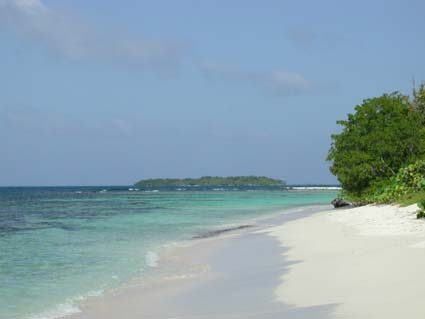 View of Cayo Medio .